We are deeply committed to contribute towards the growth of the Telos Ecosystem. Mission: Fundamentally change Global Economy and Social Systems to Empower Local and Global Communities. swedencornet (TELOS/EOS Sweden) is part of legal entity “Core Net AB” formally registered in Stockholm, Sweden. It has headquarter in Stockholm. However, we are not limited to Sweden only, we aim to cover The whole Globe. We believe Social Media, Communication & Collaboration activities will play a key role in bringing the community together, understand the needs of various stakeholders, and to take mutually agreed actions. It will help to empower TELOS communities. Depending on future opportunities, circumstances and TELOS community wishes we may aggressively expand globally (especially in Asia and Africa). 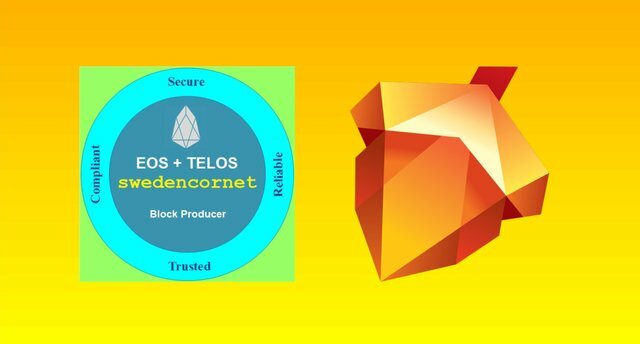 swedencornet (TELOS/EOS Sweden) has a vision to become a well recognized productive player in the field. We aim to become a hub for Companies, Entrepreneurs, Governments, Public Safety & National Security Organizations, Developers, and Global Communities. 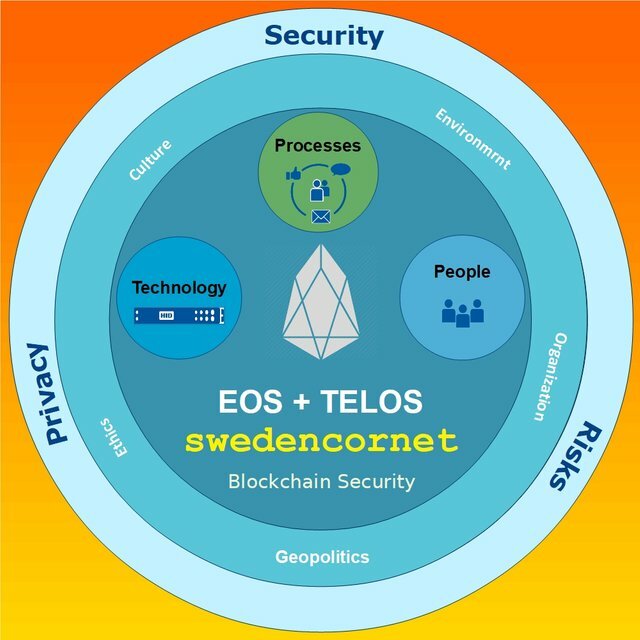 swedencornet (TELOS/EOS Sweden) would like to build sound infrastructure and beneficial decentralized applications for EOSIO Ecosystem. We believe that everyone can contribute and benefit from EOSIO. Let's we all work together for the greater good and well-being of all global and local societies. WHY WORK WITH "swedencornet (TELOS/EOS Sweden)" AND VOTE FOR US? We welcome anyone who is EOSIO Blockchain Enthusiast and is willing to positively contribute for the greater good within TELOS blockchain ecosystem. We fully support the TELOS blockchain ecosystem and it governance structure that enables the protection of the stakeholders (including, but not limited to: TELOS individual token holders) who are part of the valid chain. As top priority, our role is both to produce block and secure the TELOS blockchain ecosystem. We will play an integral role for the awareness, education and future growth of TELOS echosystem. We have strong policy "against" bribes and paying money to buy votes. We do "not" accept any sum of money or other inducement offered or given to bribe someone. We will give back to the community by Education, Awareness Activities and Meaningful Innovation. We will use part of surplus revenue to support and develop innovative DApps to help global and local communities. As we grow with time, depending on circumstances, we will also focus on developing innovative "surplus revenue sharing models" within the applicable legal and ethical boundaries. Transparency: Our culture is "Default to Transparency". We will be completely open and transparent. Our issues (positives and negatives) will be put out there for the community and world to see. Trust and Respect for Individuals: We work together to create a culture of inclusion; which is built on trust, respect and dignity for all. Achievement and Contribution: We strive for excellence in all what we do. Each one of your's & our's contribution is critical to TELOS success. Education and Meaningful Innovation: Education (Awareness & Training) is the key for TELOS echosystem to succeed and to play a major role in global economy. We will also support useful and significant initiatives in this industry. Speed and Agility: We are resourceful and adaptable. We will achieve results faster than our competitors. Uncompromising Integrity: We are open, honest and direct in our dealings. Global Citizenship: We understand our responsibility to global society by being an intellectual, social, and economic asset to each country and local community independent from any discrimination.